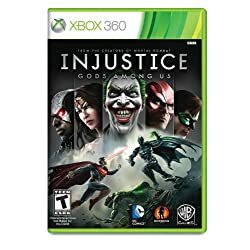 Injustice: Gods Among Us This game was so fun to open. Getting off the shrink wrap required a bit of advanced knowledge though. At first I threw the game down my stairs. But it didn't open. Several hours later I realized the err of my ways. And burned the shrink wrap off the case. I do not recommend this method as it ruins the box and smells really bad and made me sick.